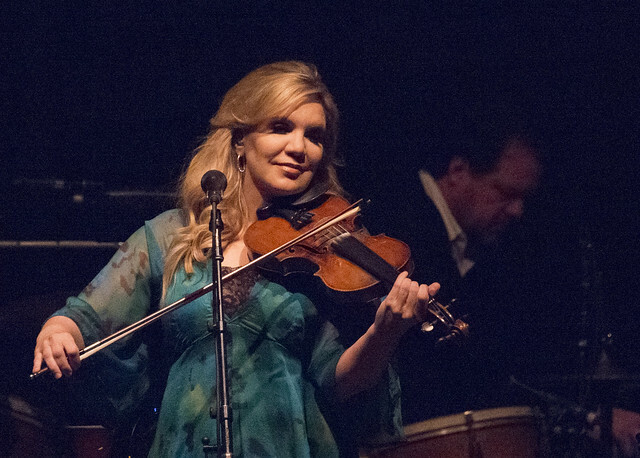 Posted on 09/20/2018 by Mark Engleson	in Live Review and tagged Alison Krauss, Americana, bluegrass, Nashville, The Anthem. 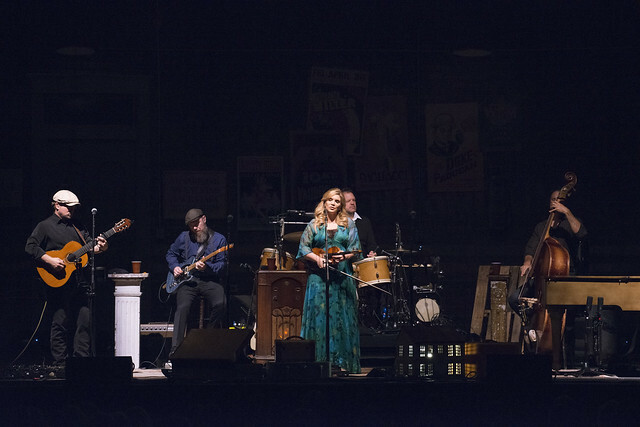 With a tin pan alley backdrop and a little bit of Tom Waits in the air, Alison Krauss serenaded the crowd at The Anthem on Tuesday with a voice as honeyed as her admittedly dyed locks. 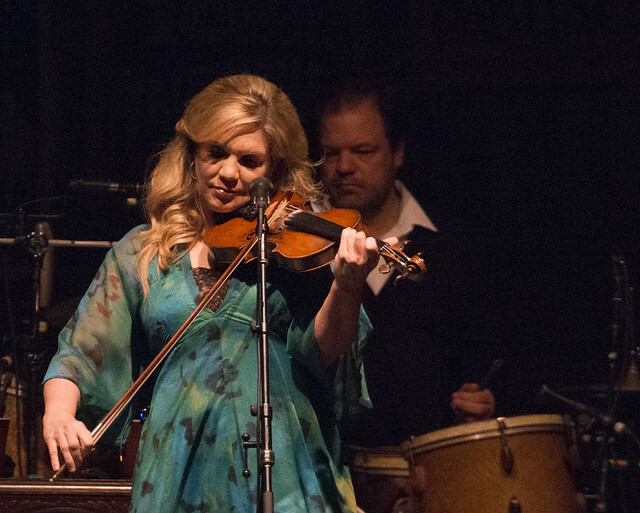 Over a two-hour set, Alison sang her biggest hits to the delight of the transfixed audience. 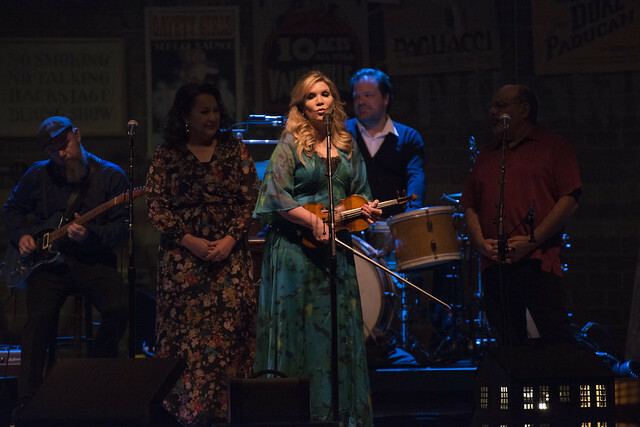 While most singers take a few songs to hit their groove, Alison came out strong, opening with “River in the Rain,” a Roger Miller cover. 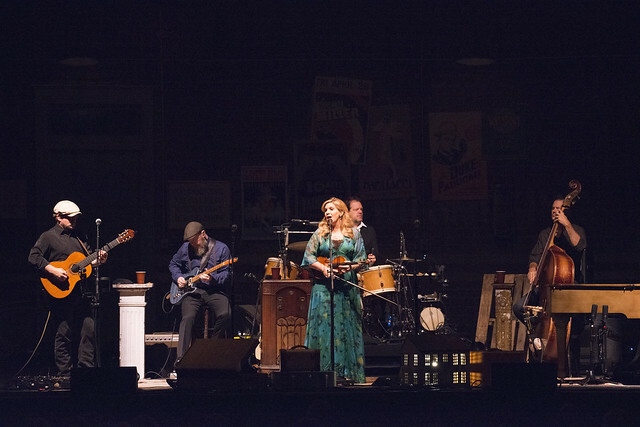 With barely a beat and a change in the lighting, Alison followed up with the first of two Willie Nelson covers, “I Never Cared For You.” The second, “Angel Flying Too Close to the Ground,” fell squarely in the middle of her set. 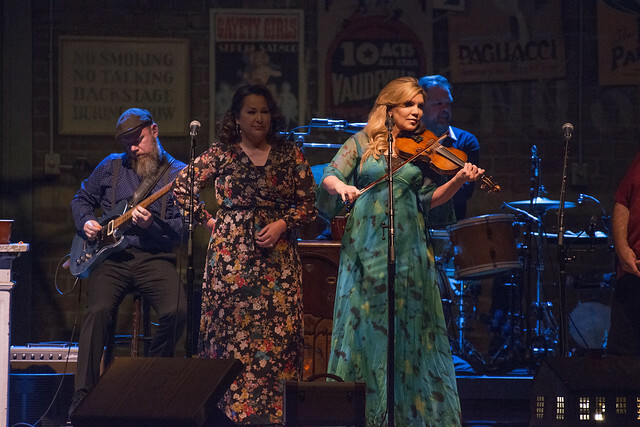 Next, Alison and the band played a couple of her original tunes, “Stay” and “Forget About It.” She veered into pop with The Foundations’ “Now That I’ve Found You,” before returning to more traditional material. 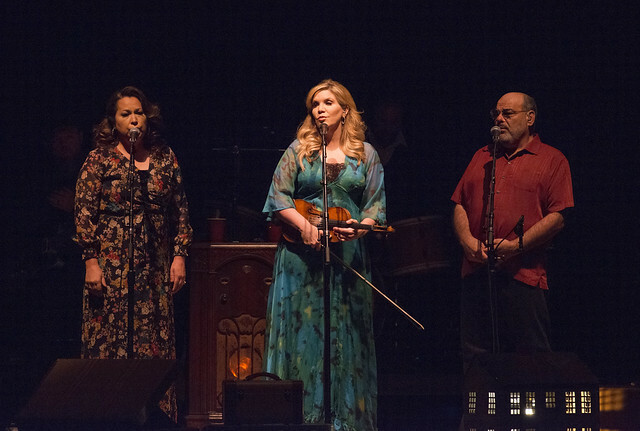 As Alison sang Shenandoah’s “Ghost in This House,” the lighting became decidedly eerie. 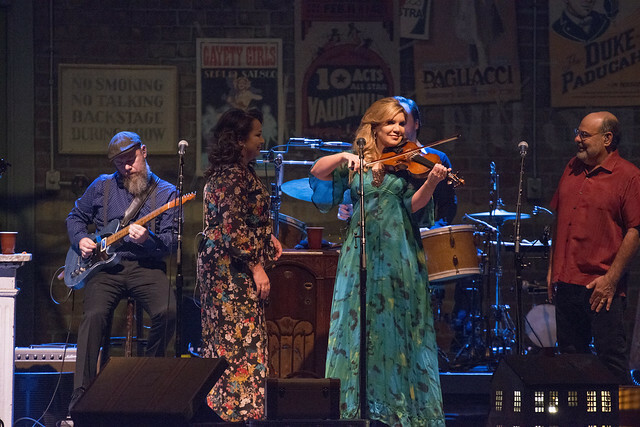 Sidney and Suzanne, members of the esteemed Cox family of bluegrass performers, and Grammy winners for their 1995 collaboration with Alison, were also featured. 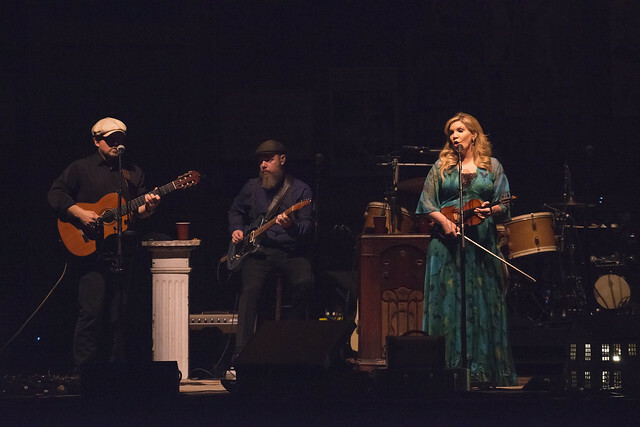 Sidney played the dobro (a type of resonator guitar), as well as a bit of acoustic guitar, and Suzanne provided backing vocals. 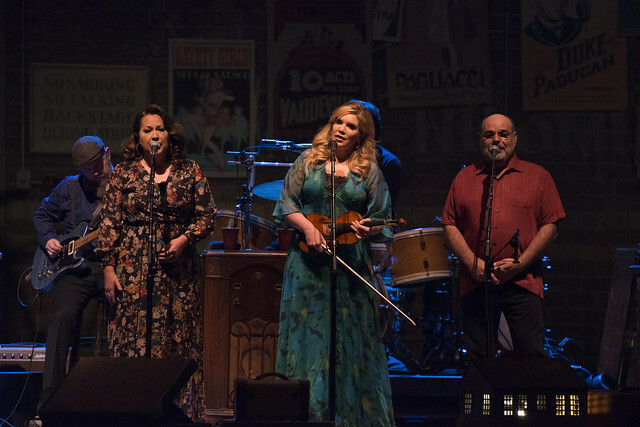 Alison had some fun at the expense of Sidney, who is now quite bald, saying that when they met, “I had brown hair and he had a perm.” At that time, she told the audience, she didn’t know that men could get perms. “He had so much decoration,” she added, hastening to qualify that much of it was concealed by his ample body hair, an image that I and the audience were glad to share. 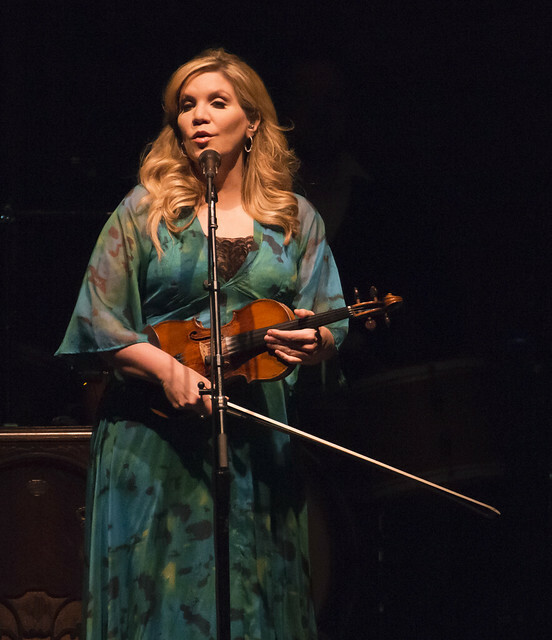 An Alison Krauss performance would not be complete without “Down to the River to Pray,” the traditional song, sung a capella, that she became known for when it was included on the soundtrack of O Brother, Where Art Thou? 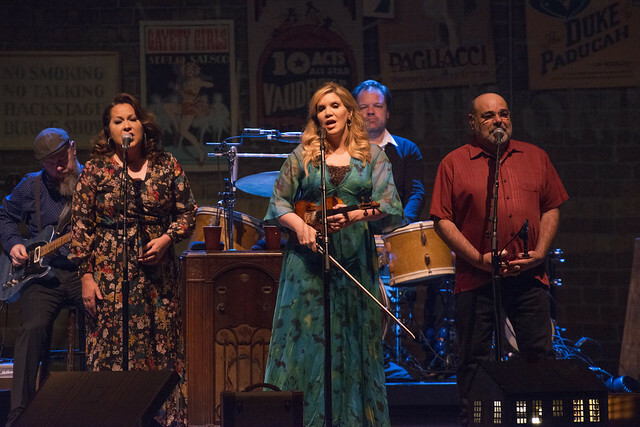 On this show, Sidney and Suzanne Cox provided sensational harmony vocals. 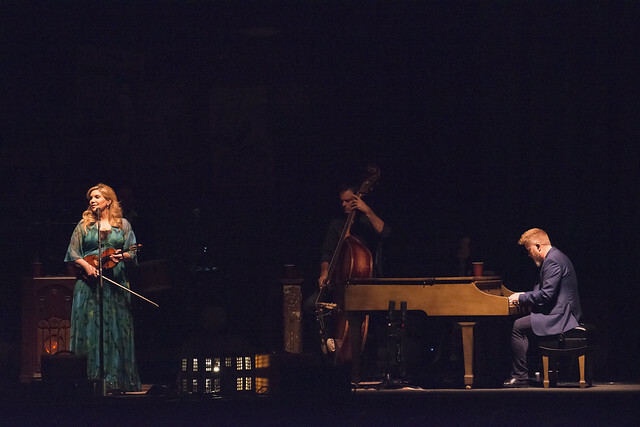 This was a seated show, so the crowd response was was low-key but appreciative. 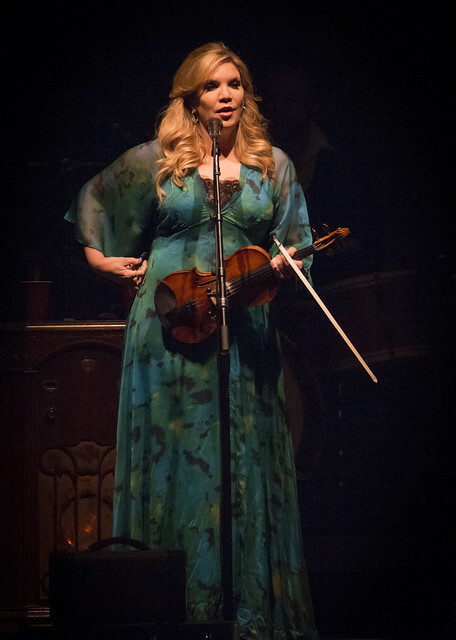 Alison and her fellow players were met with applause after every song. 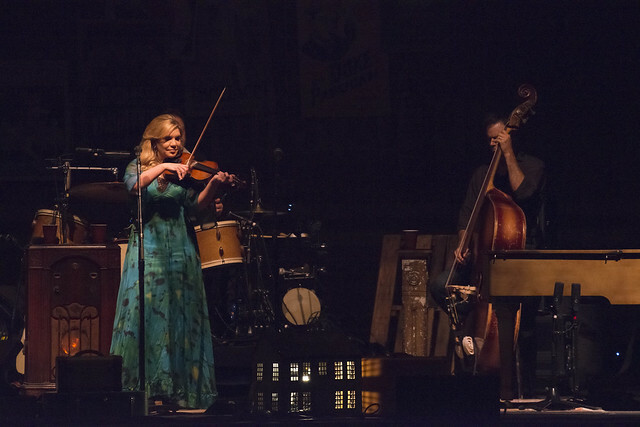 The evening’s choice of songs included her most popular songs, along with classics like “Gentle on My Mind.” We couldn’t have asked for a better evening of country and bluegrass. 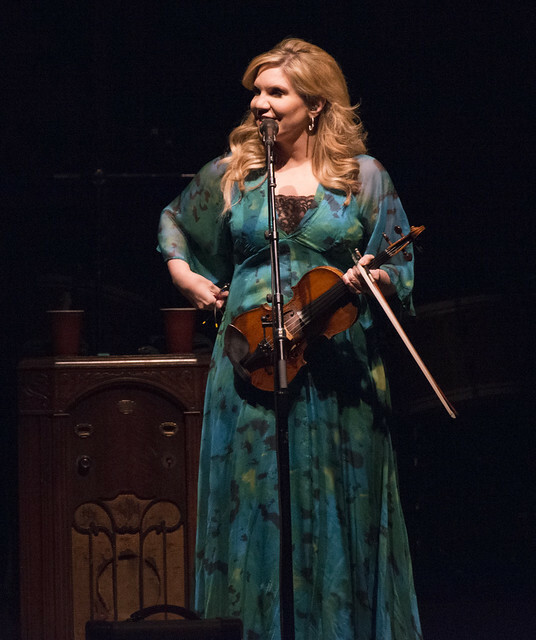 Here are some pictures of Alison Krauss performing at The Anthem on Sept. 18, 2018. 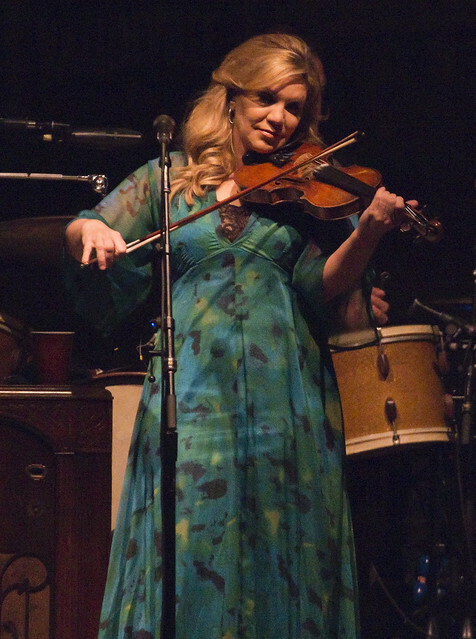 All photos copyright and courtesy of Chani Devers with some rights reserved to Alison Krauss.